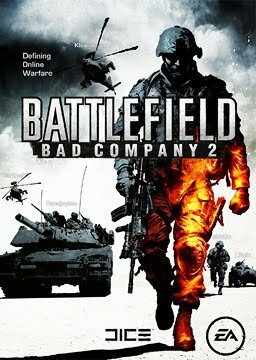 Battlefield games series are famous among many of the gamers.Battlefield bad company 2 is one among the battlefield series.Battlefield games are first person video game. 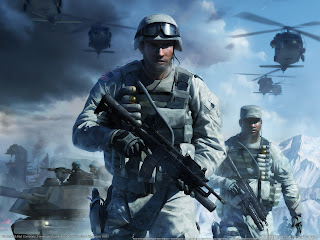 The game is made in ea studios.It is published by Electronic Arts for Microsoft windows,PS3,XBOX360. 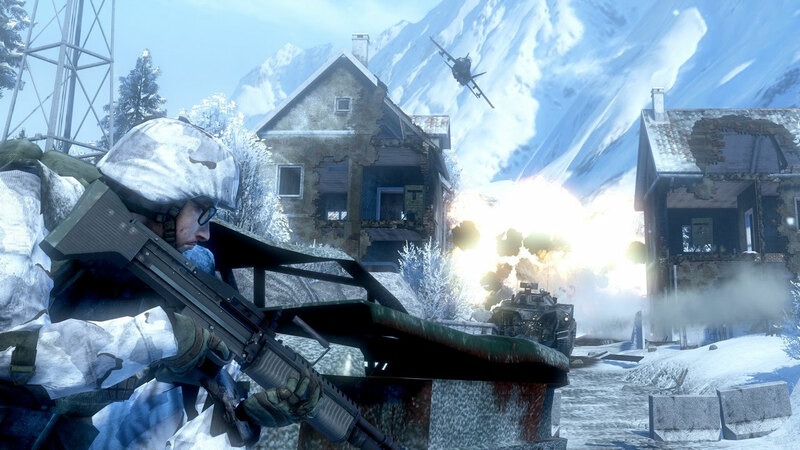 The game was released world wide on December 2010. The game contains two modes Single player mode and multi player mode. In single player mode the gamer is able to control many modern day military vehicles such as ATV,TANKS,HELICOPTERS,APC's etc.The game is based on a destructive mood almost all buildings can be destroyed by hand grenades,rocket launchers etc this part of the game makes more realistic effect.The player will regenerate health by taking cover when the player is shot down by a bullet.This series of game also contain medic equipment's for regenerating health at a faster rate than normal.This game is one among the three games in the series to show blood with out any third party modification.The other games showing the feature are Battlefield 3 and Battlefield Vietnam.A heavily wounded player will see blood and dirt along the edges of the screen. 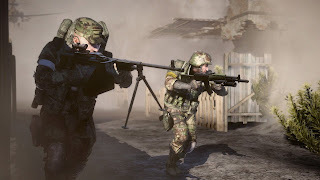 Pistols and Shotguns are common for all classes it can be used in any of the four classes.The player will be awarded experience points while playing these experience points can be used to unlock new weapons.The Team members are able to chat via game with inbuilt chat on the game. 2. To get 100 kills type "Cantankerous Chauffeur"
4.To get 20 kill streak type "Great Balls of Fire"
5.To get 50 kills type "Ride of the Valkyrie "
6.To finish first type "Just Because I Can"